Product prices and availability are accurate as of 2019-04-23 10:32:01 UTC and are subject to change. Any price and availability information displayed on http://www.amazon.co.uk/ at the time of purchase will apply to the purchase of this product. With so many drone products discounted right now, it is great to have a manufacturer you can have faith in. 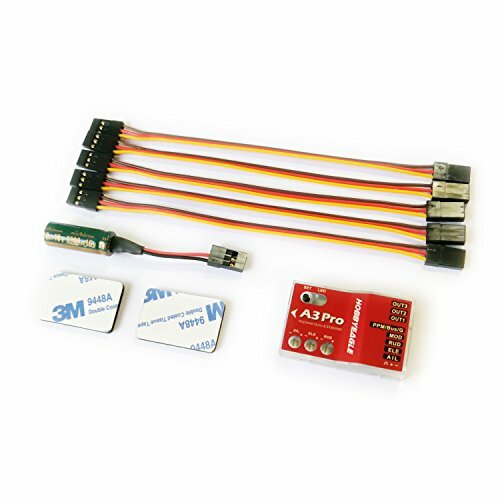 The Qwinout HobbyEagle A3 Pro 6-Axis Flight Control Gyroscope Balancing Apparatus Airplane Gyro Stabilizer for Fixed Wing is certainly that and will be a great birthday present. 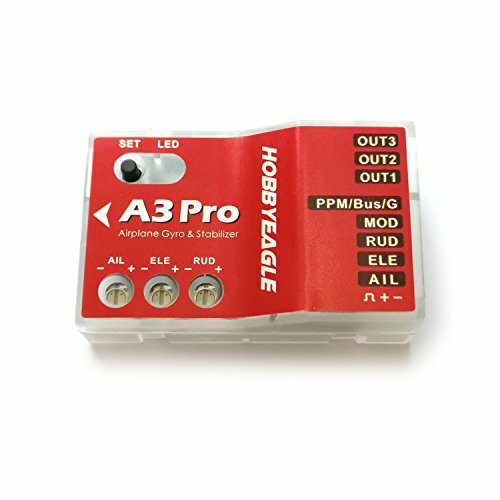 For this great price, the Qwinout HobbyEagle A3 Pro 6-Axis Flight Control Gyroscope Balancing Apparatus Airplane Gyro Stabilizer for Fixed Wing is highly respected and is a regular choice amongst many people who visit our site. QWinOut have added some innovation touches and this equals great good value. Separated basic gain adjustment for aileron, elevator and rudder. Sub Trim and Travel Limit settings supported. Operating Temperature: -10 ? ~ 50 ? 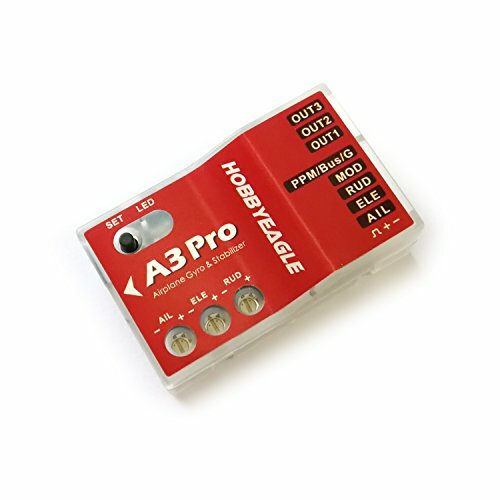 A3 Pro has 5 separate input channels which used to connect to the receiver and 3 output channels for servos, and supports standard receivers, PPM and Futaba's S.BUS(or S.BUS 2) single-line receivers. [AIL], [ELE] and [RUD] should be connected to aileron, elevator and rudder channels of the receiver. 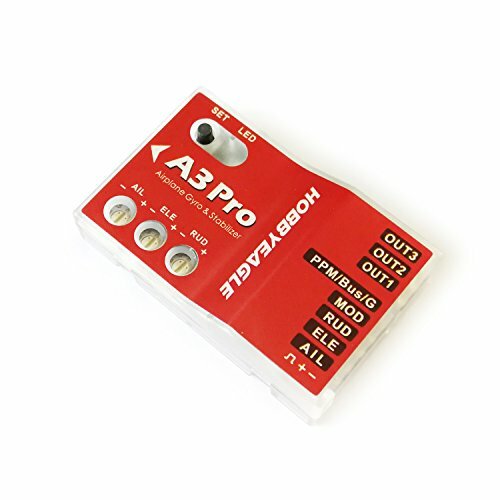 [MOD] is used to change the flight mode using a 3-position switch of the transmitter. Usually you can connect it to the gear or any of aux channels of the receiver. Of course, you have the option to not connect this channel, if so, the gyro will always work in the mode which is set for position-1 in the Setup Menu. [PPM/Bus/G] is used for remote master gain, it allows you to adjust the master gain of the gyro by using a proportional knob or slider of the transmitter. However connecting this channel is not a must if you don't want to change the gain in the flight. [PPM/Bus/G] is also used as the input channel when a futaba's s.bus or PPM single-line receiver connection is being used.